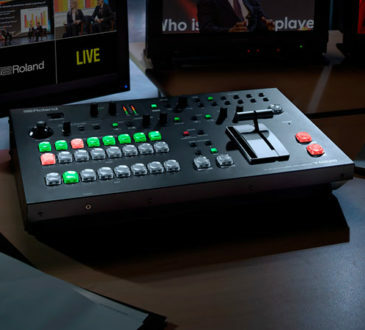 This versatile multi-format video mixer eliminates the need for several stand alone units; a simple switcher, high-quality scaler, input expander, audio solution and inline video effects / composition. Most importantly less equipment = less headaches! 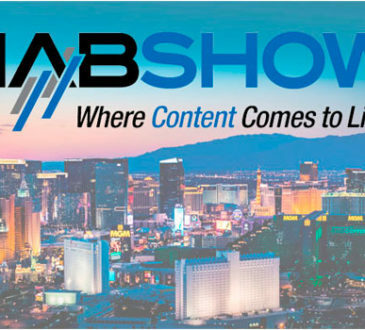 Focus on producing your event or shooting your scenes rather than troubleshooting your gear. 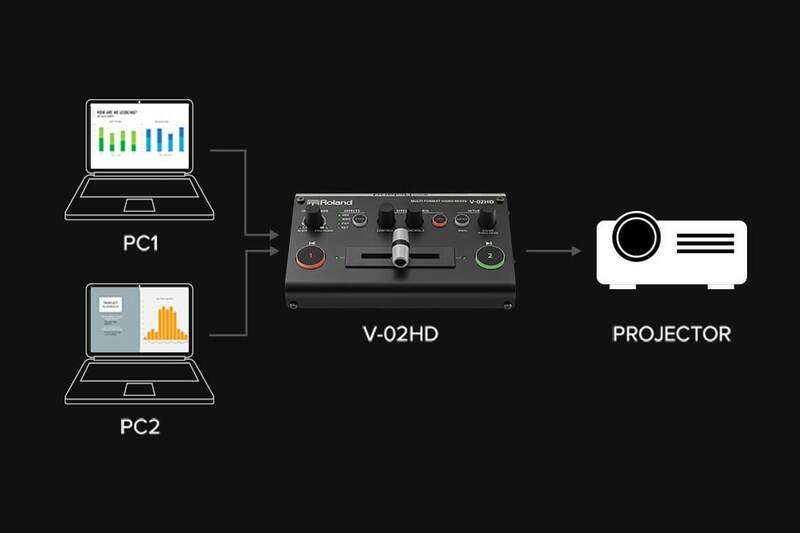 With tight budgets, limited crew and strict deadlines, the V-02HD is the ideal single person production tool as it supports 2 HDMI video sources and allows you to operate the dual camera with a single hands free operator via a connected foot switch; switching in real time. 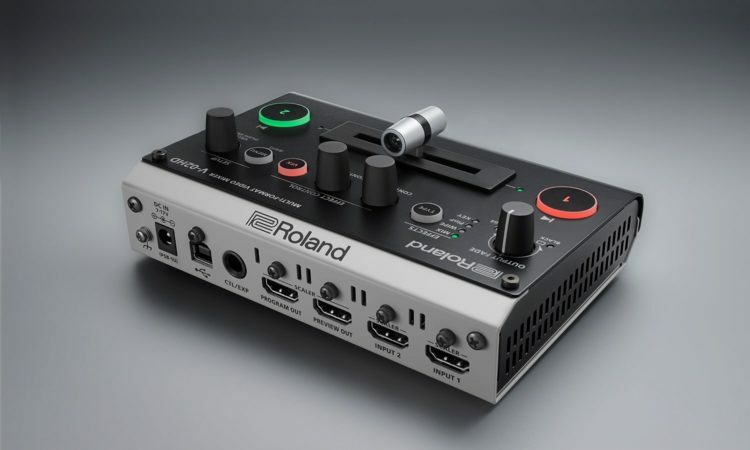 Pair with an external recorder and deliver your edit immediately. 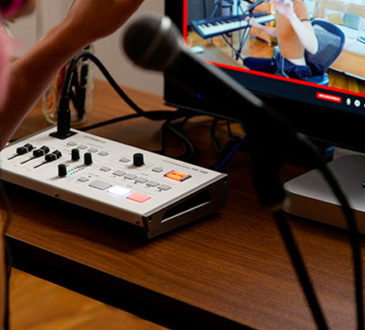 The V-02HD transforms a two-camera shoot into a small one-person production studio, for reliable recording or live-streaming even with minimal resources. 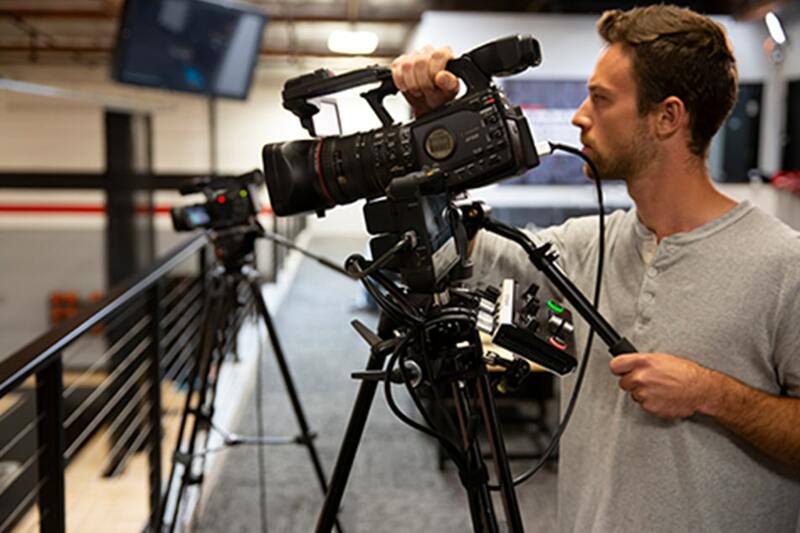 Designed to integrate with typical video production workflows, the V-02HD has a screw tap for standard video mounts and conveniently attaches onto a tripod to stay out of the way. 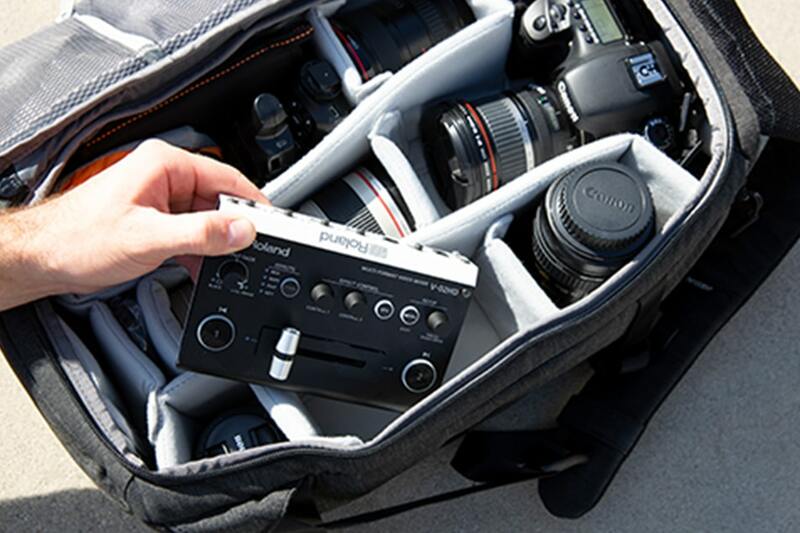 Supplied with an AC Adaptor, the V-02HD can be hooked up to a third-party battery pack; simply use 7- and 14-V type camera-use batteries as an external power supply allowing up to 20 hours of usable time . 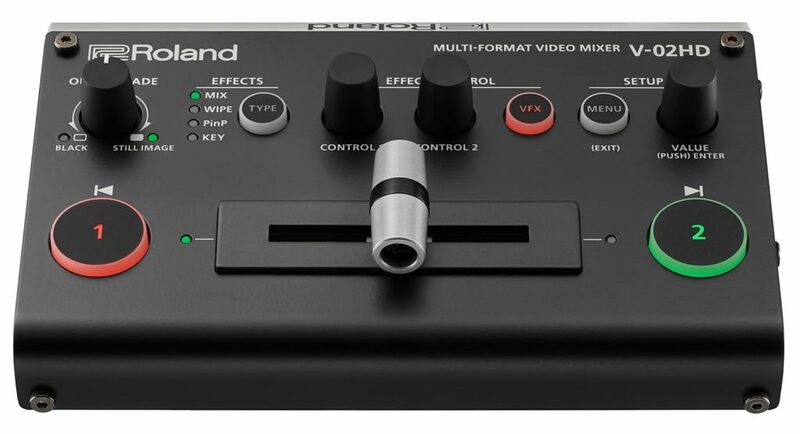 No longer will you need to spend hours in the editing suite using complicated software, the V-02HD has 14 built in visual effects along with 5 additional composition effects; add titles, use a green screen with the Key effect, or create a separate inset window with the PinP capability, to fine tune results. All of which can be applied directly to the cameras output allowing for you to immediately record the result . 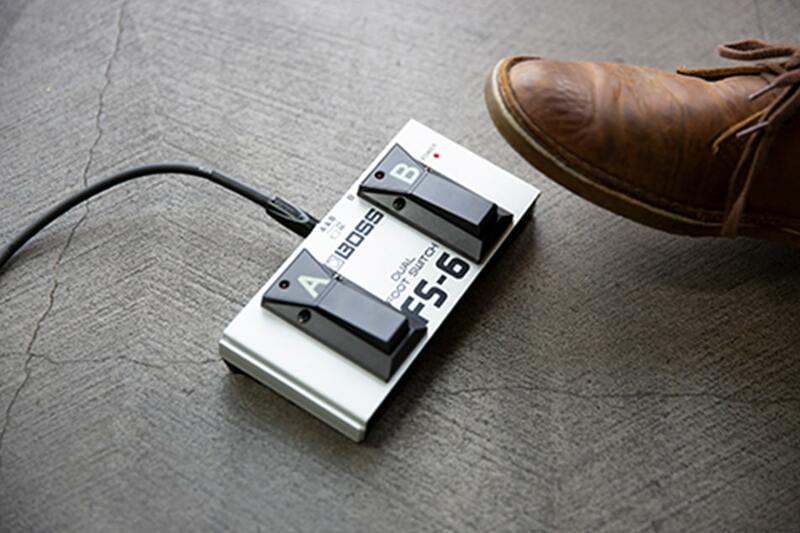 A built-in effects library allows you to optimize your audio without having to leave the digital domain. 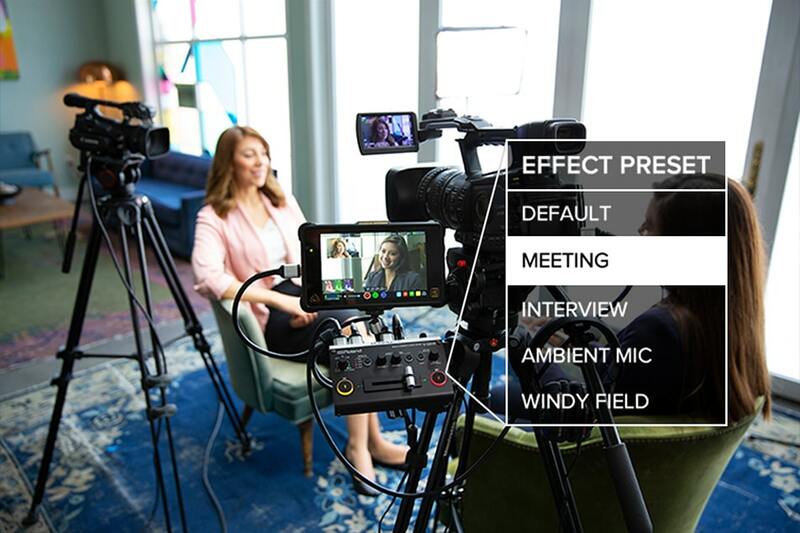 The V-02HD is packed with presets for common production scenarios including; interviews, ambient sound recording, and eliminating wind noise when filming outdoors. 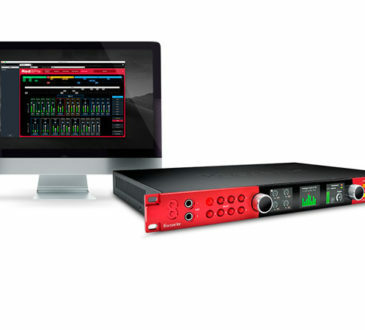 The V-02HD has three-band EQ and dynamics onboard, so you can immediately optimize your audio without having to send to an external mixing desk. Having two HDMI-equipped devices doesn’t necessarily mean they’re compatible; with input and output scalers the V-02HD can take standard definition, high definition and computer resolutions, before resizing them to fit the display and then outputting in a new resolution that’s compatible with the receiving device. 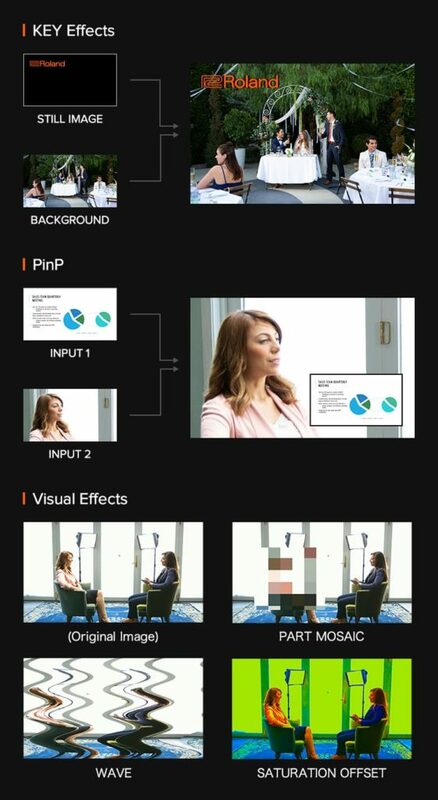 Many presentations require the easiest of set ups but with professional results, the V-02HD allows you to switch between two sources, maintaining hi-res ‘pixel-accurate’ display resolution with deep 10-bit 4:4:4 colour space and is yet easy enough to be used by the presenter, even if for the first time. If a new speaker arrives but isn’t ready to present, simply load a still image into the V-02HD and switch over to the still image when needed. Save on space, the V-02HD easily fits into your equipment cases or camera bag making this extremely portable and lightweight design perfect for location based shoots.